Why is Donuts Called Donuts? The abundance of choices in the marketplace makes it more and more challenging to launch an idea that sticks. 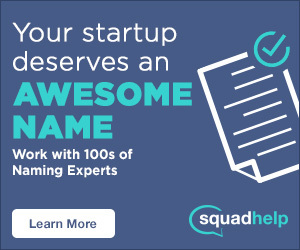 And even for those entrepreneurs that discover the next unicorn, like everyone else, they still have to name it. Back in 1985, this was the least of everyone’s worries, when .com was introduced as one the first top-level domains (TLD) by the Domain Name System. Perhaps back then, the challenge lied in the over supply of names rather than the scarcity we are currently facing. Wouldn’t that be a nice problem to have today? Whether on a jog, in the shower, or driving to work, many of us entrepreneurs have experienced “the aha moment of hope” only to click enter and find out the domain is already registered. In fact, all the four letter .com domains in the world are registered, even made-up words. Using their domain API, WhoAPI looked at every possible letter combination from AAAA.com to ZZZZ.com for a grand total of 456,976 combinations – and nothing was available to buy. You probably guessed it, but two and three letter words are extinct as well. But don’t worry, there’s hope. I introduce you to the NOT COM revolution led by Donuts (donuts.domains), minus the sprinkles. Originally, the namespace contained seven top level domain extensions: .com, .net, .org, .int, .gov, .mil and .edu prior to the internet moving into the public domain. These were created to support brand domains so users didn’t have to remember hundreds of IP addresses to view a website. 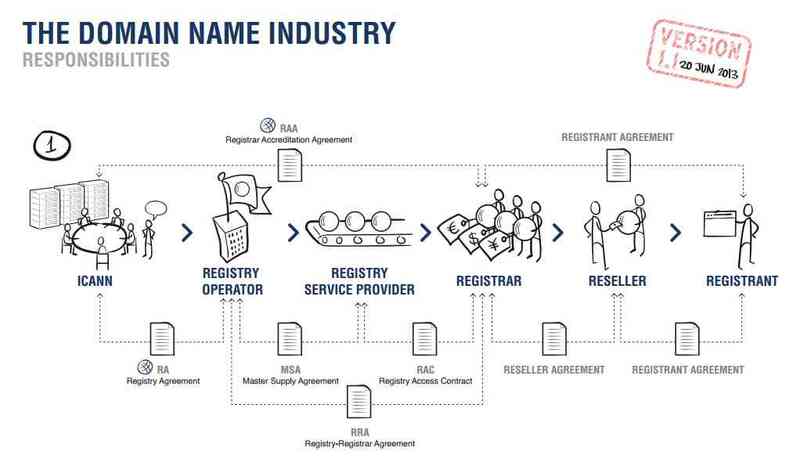 ICANN, the body in control of administering domains, created 15 generic top level domains (gTLD), creating more options than just the traditional top level domain extensions. And just a couple years ago, ICANN expanded their inventory by introducing hundreds of new generic told level domains. These new not-com options give companies and entrepreneurs the ability to create a more memorable, customizable and personal website name – one that is truly reflective of their businesses. For example, instead of a pizza company buying a long-winded .com extension, they could purchase a suggestive extension like brandname.pizza. Still a little skeptical? Even Google adopted a not com domain when they announced their new parent company called Alphabet (abc.xyz) last year. 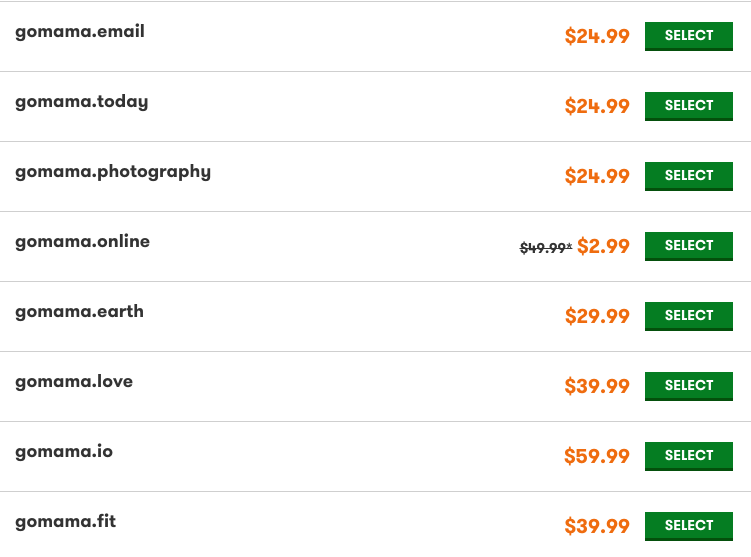 These new extensions can be purchased by consumers on a registrar like Godaddy and eNom. What most people don’t know, is that every time you purchase one of these specific extensions, Donuts is getting a cut of the revenue. Becoming a registry operator like Donuts is a sizable investment. The application fee alone is $185,000 per extension and that doesn’t even guarantee you will get it, plus there is a yearly administration fee. It’s reported that Donuts has raised over $100 million in venture capital money and paid ~$57 million to own 307 new domains – more than Google, Amazon and Allstate combined. Why is it called Donuts? The company is headquartered in Bellevue, WA and was co-founded in 2010 by Paul Stahura, Jonathon Nevett, Richard Tindal, and Daniel Schindler. Here’s the scoop after talking to Donuts’ Vice President of Communication, Mason Cole. Donuts chose its name not only to be whimsical — after all, who doesn’t like a donut? — but to evoke the idea of variety and choice. The company was, and still is, deeply committed to the new gTLD program’s objective of choice and competition, and thus decided to invest heavily in bringing that level of choice to the marketplace. “As the number of registered website names has soared to more than 225 million names globally, and with more than 500,000 businesses launching every month in the United States alone, the ‘namespace’ on the Internet needed to expand. These not-com options have created a groundswell of support for a ‘not-com revolution’ because they are more descriptive, memorable and available than today’s dot-com options,” said Donuts Chief Marketing Officer Jeff Davidoff. Are new gTLDs bad for SEO? On July 21, 2015 John Mueller, Webmaster Trends Analyst at Google published a blog post to discredit any misconceptions on the way Google ranks and indexes these new extensions. Q: How will new gTLDs affect search? Is Google changing the search algorithm to favor these TLDs? How important are they really in search? Next time you hear of someone struggling to land a .com extension, tell them to at least consider the not com. Thanks for reading Why is Donuts Called Donuts!